$740 - $895 / mo. 983 - 1098 sq. ft.
South Creek Village Townhomes in Rapid City, SD offer townhomes for rent in the Rapid City, SD area. 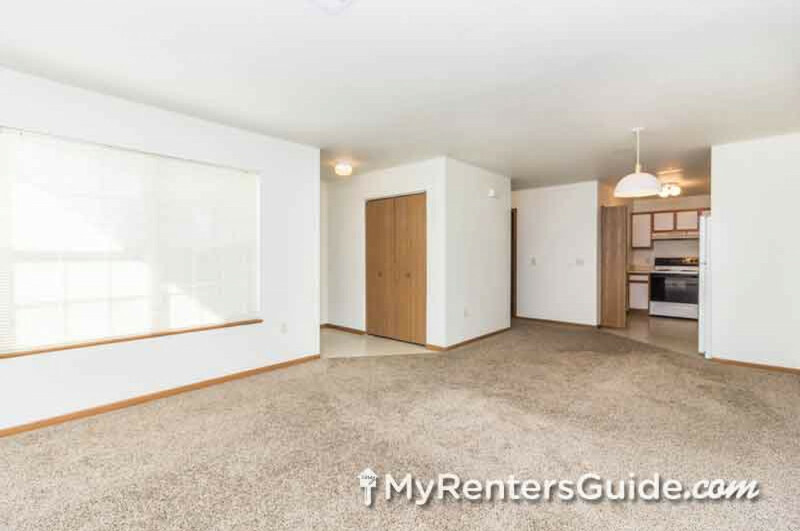 South Creek Village Townhomes features 2 and 3 bedroom apartments located in Rapid City, SD. With amenities such as 24 hour maintenance, a basketball court, garages, lawn care, playground, and private porches South Creek Village Townhomes is sure to feel like home. Some of South Creek Village Townhomes are handicap/accessible and all have laundry hook-ups. Water, sewage and trash removal are included. South Creek Village Townhomes is located near Robbinsdale Park, Dinosaur Park, and Skyline Wilderness Area Park. Conveniently located near shopping, dining, and recreation; South Creek Village Townhomes is sure to provide everything and more one could want in their next home! Contact South Creek Village Townhomes today to schedule your private showing. South Creek Village Townhomes is a Proud Property of MetroPlains Management. 2 beds 1 bath $740 - $785 2 Bed 1 Bath 983 sq. ft.
3 beds 2 baths $850 - $895 3 Bed 2 Bath 1098 sq. ft.
South Creek Village Townhomes is conveniently located to shopping, dining, and parks and recreation. Head north on Mt Rushmore Rd toward St Joseph St and turn right at the 1st cross street onto SD-79 S/St Joseph St. Continue to follow SD-79 S for 2.9 miles then turn right onto E Oakland St. 0.1 miles. Turn left onto Outlook Circle and South Creek Village Townhomes will be on the right.